Commission for an online children's storybook. Our intrepid hero has found himself in a bit of a quandary. The creature he faces is the Grocc, king of the swamps. 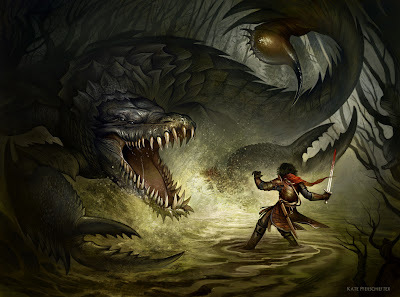 A chimerical mash-up of a crocodile and scorpion. 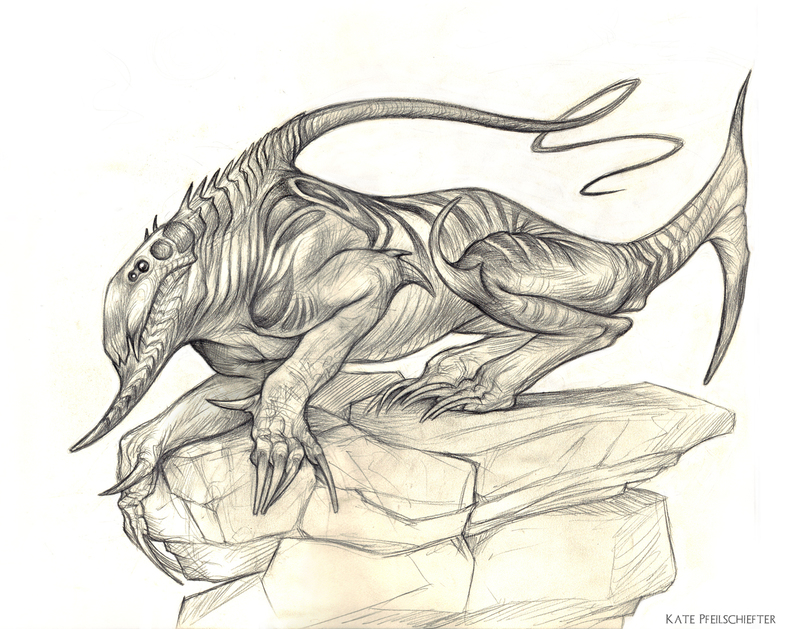 Critter sketch. 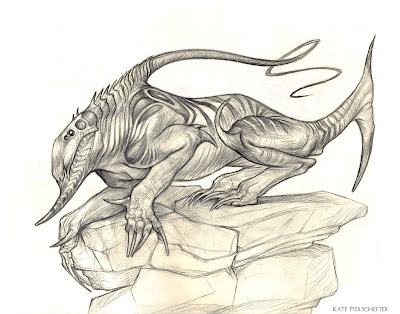 A sharky, bone jawed, tentacled cat thing. The whip I imagine behaves like a stingray's spine or a jellyfish tentacle. The creature is immune to its own sting, but prey is stunned/paralyzed by it. Could also use the whip as a lure. The tail is good for whacking things, that's about it. My obligatory holiday themed drawing. Saw some reindeer at a garden center and drew this later. 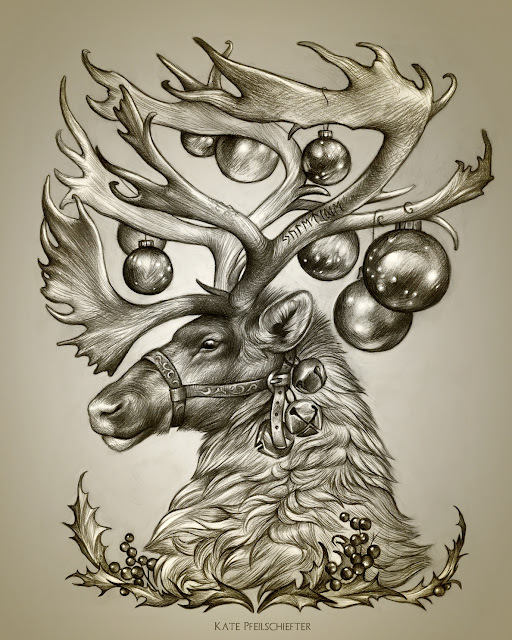 The Elder Futhark runes carved into one of his antlers reads "yuletide". A belated Happy Holidays to everyone!